Flush cut to the buccal tube and hold the wire securely. Cuts wires min.017X.025 and max .019x.025 with our strong and durable Tungsten Carbide inserts. Long Handle. Flush cut to the buccal tube and hold the wire securely. Cuts wires min .016x.016 and max .016x.022 with our strong and durable Tungsten Carbide inserts. Long handles. 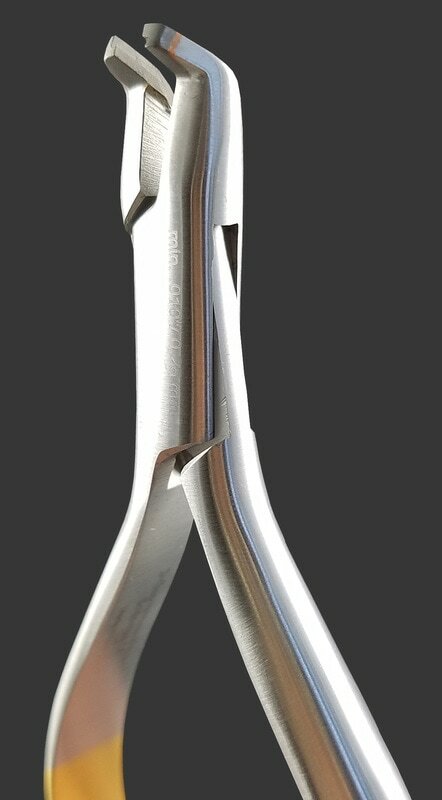 Mini distal end cutter. Cuts wires min 0.10 and max 0.25 with out strong and durable Tungsten Carbide inserts. Short Handles.